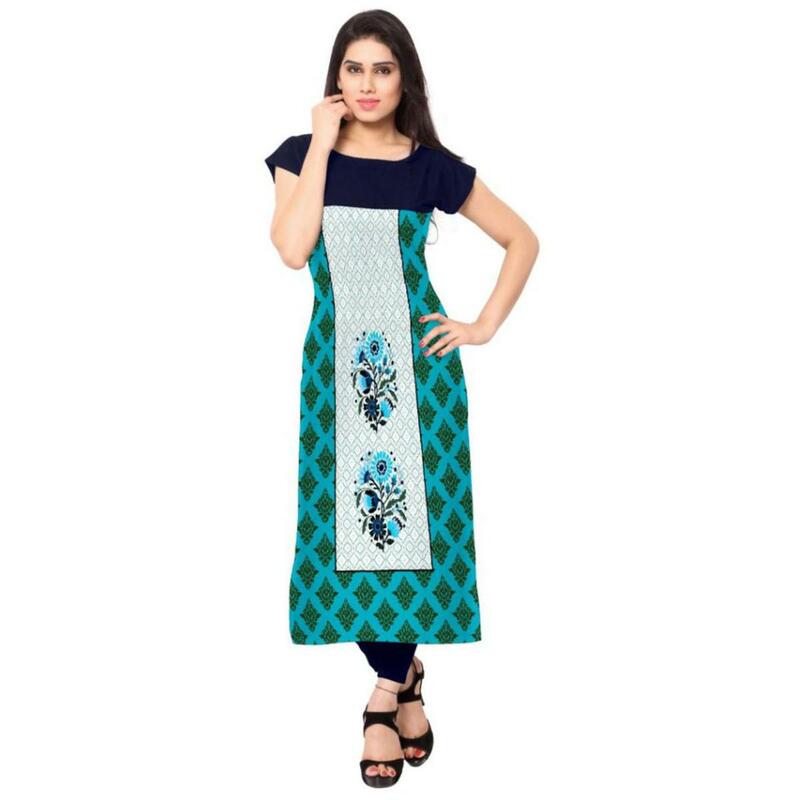 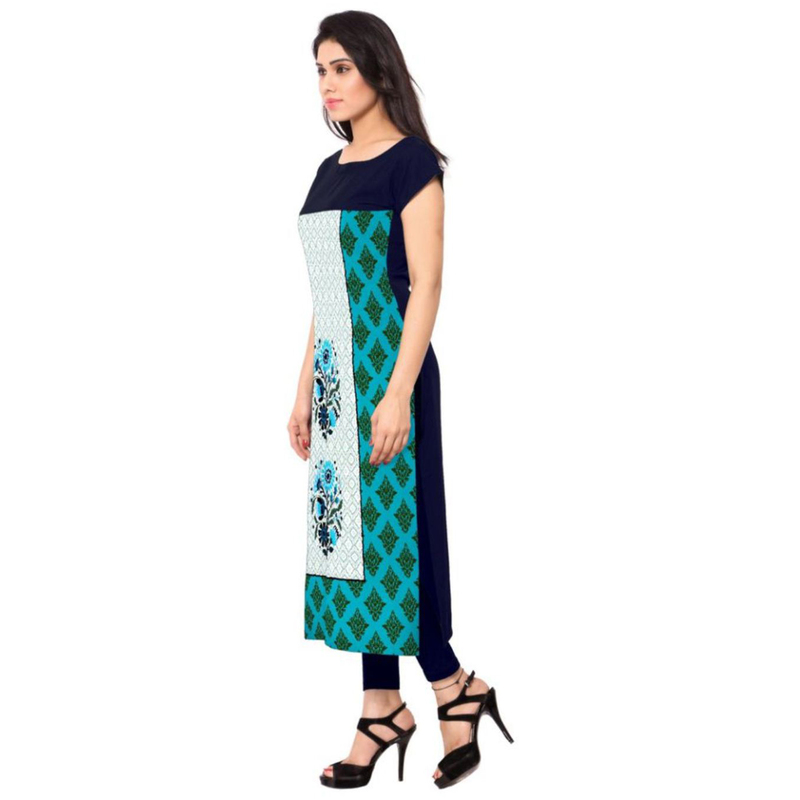 Genuine elegance can come out from your dressing style with this groovy blue colored kurti. 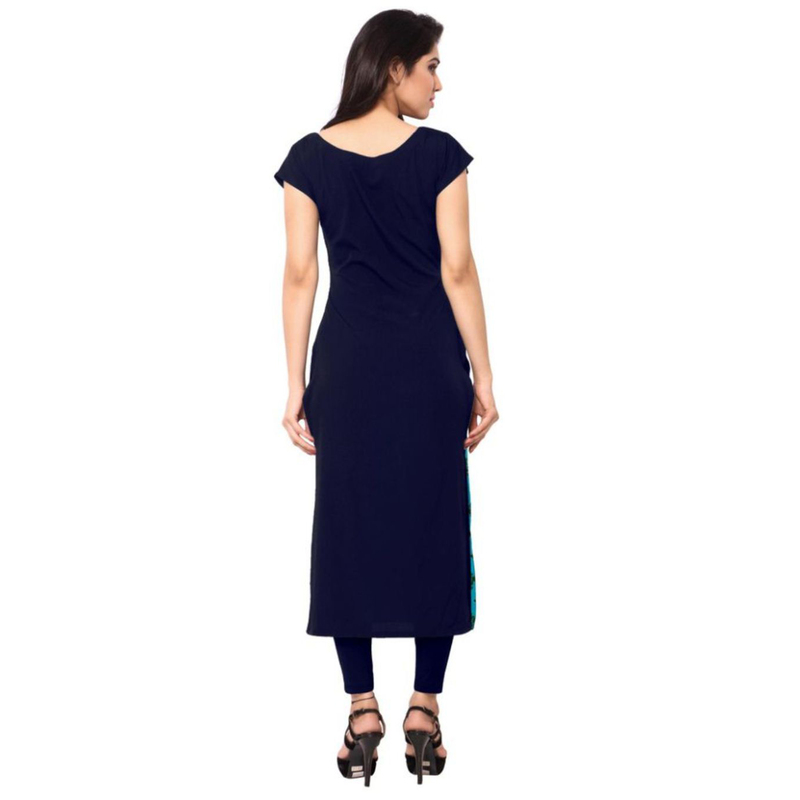 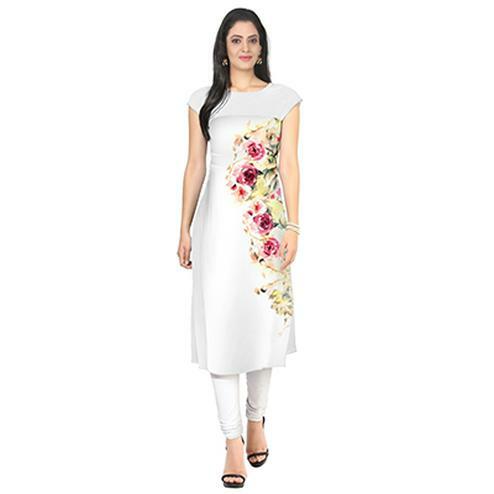 This ready to wear kurti is made of crepe fabric which is lightweight and assures the wearer a perfect fit & comfort. 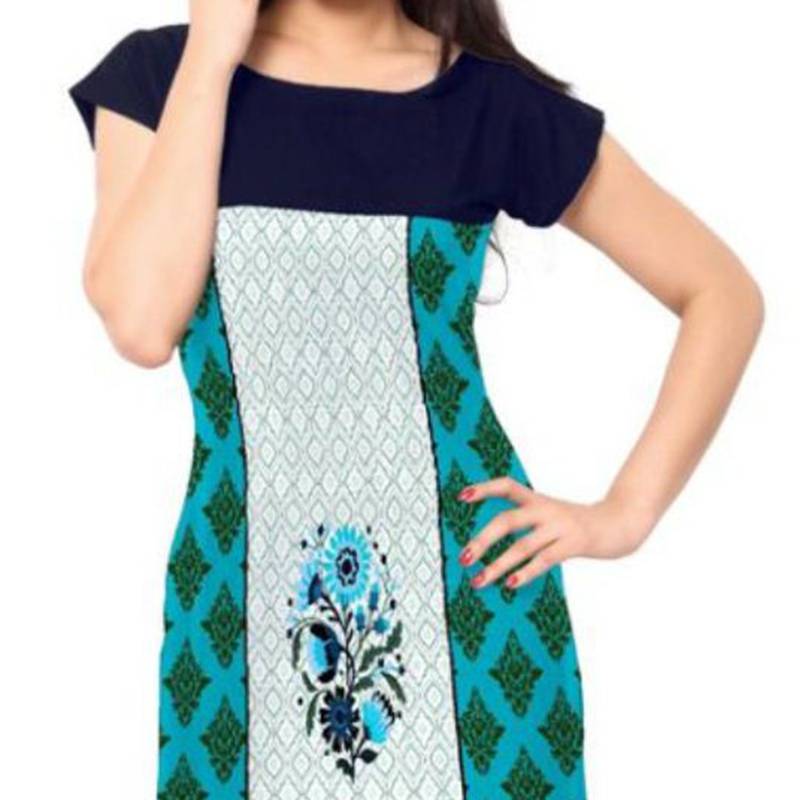 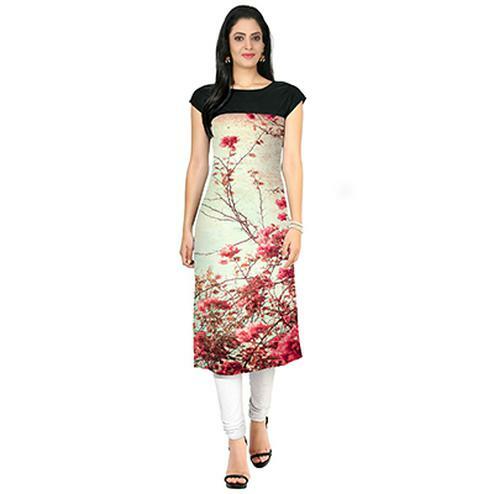 This stitched kurti is beautified with beautiful prints as shown. 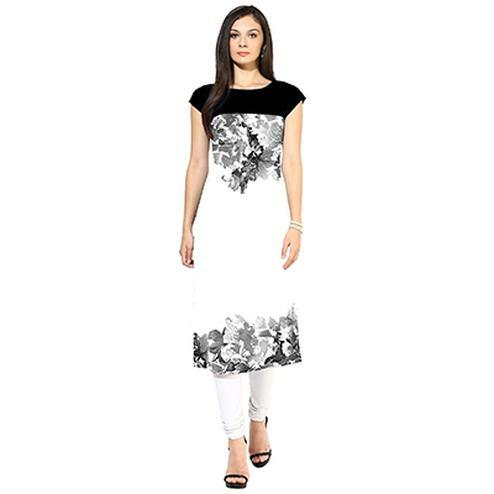 Ideal for office, casual outing & weekend get together. 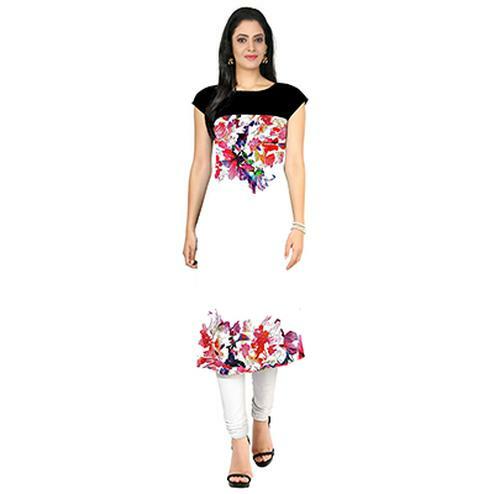 Team it with high heels and fashionable accessories to look more attractive. 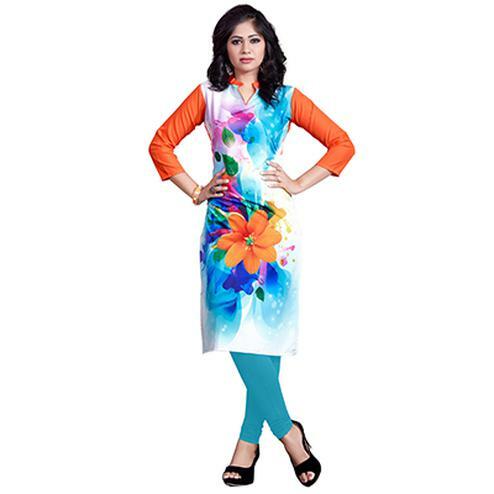 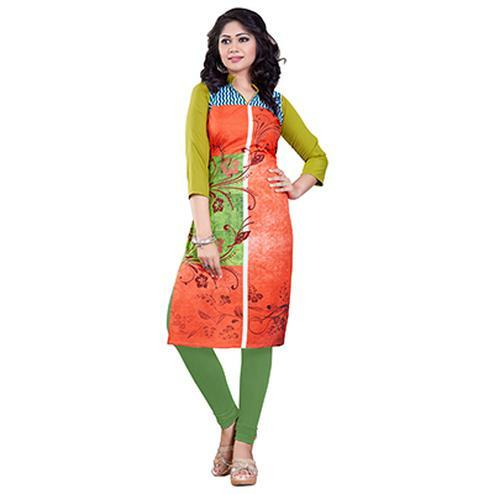 This attractive kurti will surely fetch you compliments for your rich sense of style.